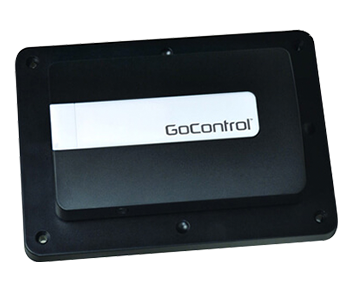 Gain the ability to control much of your house through your mobile phone or smart device with one application! 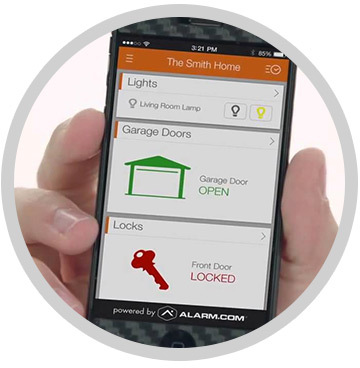 With Fox Security’s Home Automation Services, controlling your home from any smart device such as a phone or tablet is as simple as pushing a button! 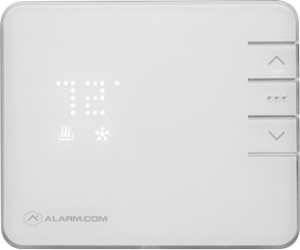 Control your alarm system, thermostats, door locks, lights, and much more! 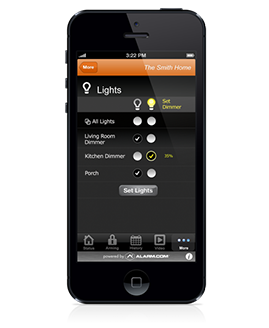 With home automation you can program your home to know your lifestyle! 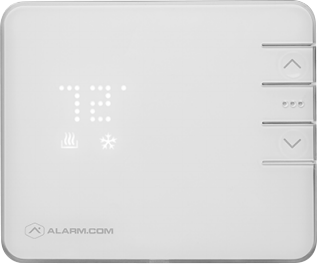 For example, your thermostat can automatically adjust your air conditioning or heater when you tend to leave for work and shortly before you arrive home from work. 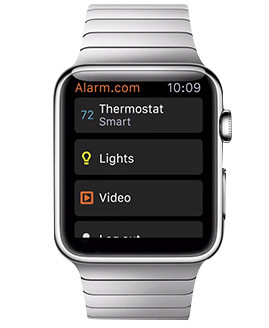 Additionally, you can program lights in your house to go on during night hours to indicate someone is home when you are on vacation. The possibilities are endless! 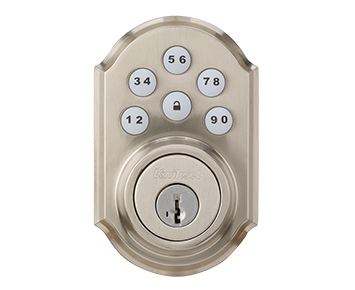 All equipment installed by Fox Security has a 1-year warrantee on all parts and labor. See who’s at your front doorstep without having to open it or be at home! 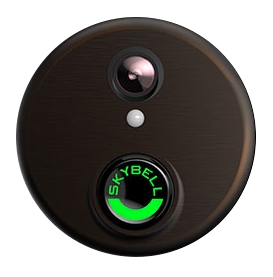 When your doorbell rings you’ll receive a notification on your phone alerting you someone is at your door, you can even speak through it! 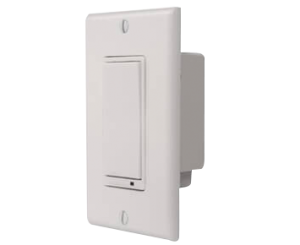 This device simply goes into any wall socket and allows you to control the device that is plugged in by turning it on or off. Open or close your garage from your mobile phone. 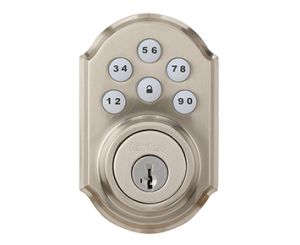 Lock/Unlock your doors from your phone. Great when family comes to visit or kids forget their keys. Call Fox Security’s Home Automation experts today to learn about your options: 1-800-393 2629 or fill out our contact form on the right and we will call you as soon as possible! Fox Security is delighted to have helped the Bay Area keep residents safe and secure for over 20 years. We value our customers and aim to satisfy them for the years to come. Request a free quote today and join our extensive list of satisfied customers! Fox Security is pleased to help keep the beautiful mountains of the Sierra Nevadas free from theft and fire danger. If you live full time or have a vacation home, request a free quote and join the Fox Security family! 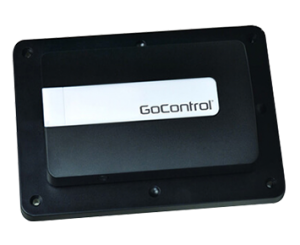 Fox Security and Communications works with leading manufacturers of home and business security and communications products. 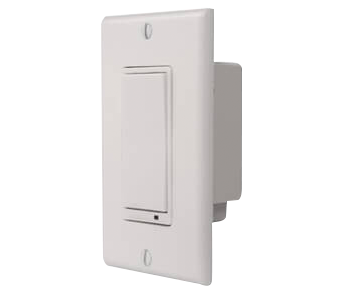 Fox Security and communications works with leading manufacturers of home and business security and communications product.